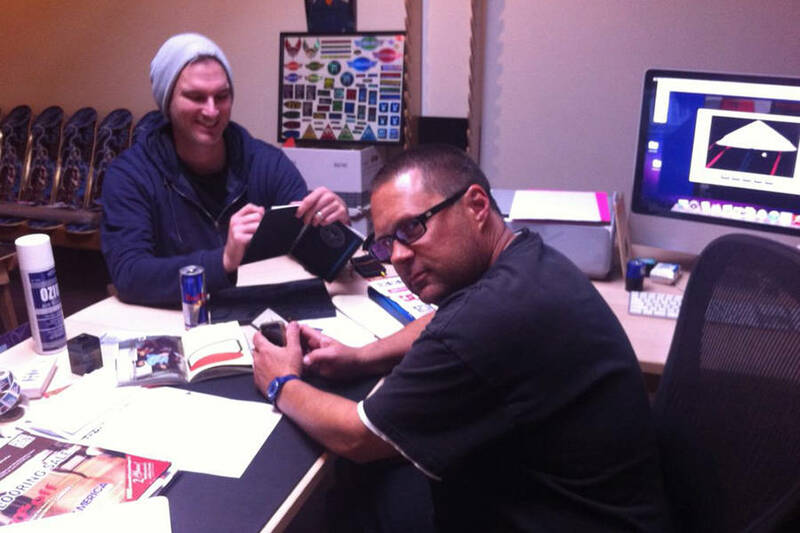 Dirk Vogel, left, interviewing Todd Huber for his 2018 book, Skateboarding Is Not a Fashion. A new digital mag is on the scene, and with prolific skate culture writer Dirk Vogel as Editor-In-Chief its future is looking bright. Illuminated Paper went live last month and has established a unique voice that is focused on storytelling and highlighting the art and creativity in skateboarding. The author of multiple books on skateboarding, Vogel also is providing insight into his journalist process as well. One blog post in particular breaks down a valuable time-saving technique for using hashtags to easily group computer files; skate mag transcribers everywhere should seek this out #ASAP. ILLUMINATED PAPER is here to tell stories at the intersection of art, street, style, sports, popular culture, and current trends; always with a strong focus on the individuals pushing the boundaries and doing something extraordinary in an age of digital overload. We also want to tell stories with a lifespan beyond the daily hype cycle. Stories you may want to read again a few weeks, months, years or so later. Like a story you saw in a print magazine. Much like print magazines, we think of our stories as pieces that our subjects would want to save in their portfolio. For artists and creatives, I_LLUMINATED PAPER_ is a place to showcase their work, share insights about their creative process, and, in their own words, tell the world what they’re about. For brands,provides a platform for rich editorial storytelling outside of hype feeds regurgitating the same PR spins and product activations. Engaging storytelling that generates views over long periods of time and paints a more complete picture of brands and the creative minds responsible for their output. And for everyone else, we want to create a place that celebrates creativity and all the cool new things worth reading about.